End of the Age – Alliances! The first is: Isaiah 60:1-3; "Arise, shine; for your light has come, and the glory of Jehovah has risen on you. For behold, the darkness shall cover the earth, and gross darkness the peoples; but Jehovah shall rise on you, and His glory shall be seen on you. And the (Gentile) nations shall come to your light, and kings to the brightness of your dawning." This is a promise for God’s people at the - close of the age or End-Times! The glory of God will shine upon us and in the midst of dense darkness that is surrounding us on all sides, covering all nations. Then those who have a heart for truth will come out of the "darkness" to the people of God to seek the "light." Do NOT expect darkness to end! It will continue, and it will grow deeper. But, correspondingly, the light will get brighter! There is a wonderful fact about light and darkness that goes back to creation. Whenever light meets darkness …it WINS! Just bear in mind that if we are the light and we are in the light …we WIN! The second significant passage is the Parable of the "Wheat and the Tares" found in; Matthew 13:24-30. This parable is about a farmer who sowed good seed in his field. 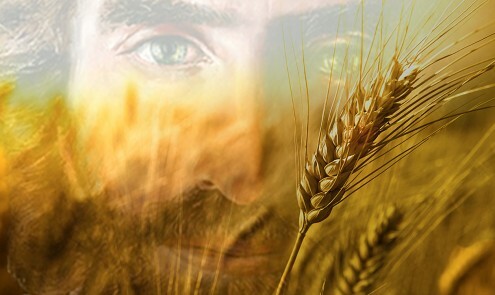 Then in the "night" an enemy came and sowed tares (weeds), which apparently looked like wheat. But there was one major difference …the tares had NO fruit! The tares did NOT produce anything worth having! The workers in the field said; "Shall we go and pull up the tares?" The farmer said, "NO, because when you pull up the tares you will pull up some of the wheat. Let them both grow together to harvest." In interpreting His parable, Yeshua (Jesus) said, "The harvest is the End of the Age," He tells us that at the End of the Age the angels will come forth and sever the wicked from the righteous. The wicked will be bound up in bundles and cast into the fire …and the righteous will shine as sons in the kingdom of their Father! Bear in mind that right up to the close of the age, the wheat and the tares will be growing side by side. The church is not going to be fully purified until the End of the Age and even then we are not going to be separating the wheat from the tares. The angels do that! This parable is not speaking about the pagan world, but about professing Christians …and in that situation both wheat and tares will grow side by side! If we want to be sure that we are wheat and not tares then we must check on the fruit that we are producing because that will make the difference! The third passage for consideration… is at the end of our Bible, where we find a statement first from an angel of God - and then a statement from Yeshua (Jesus Christ) Himself… Revelation 22:10-12, "And he said to me, ‘Do not seal the Words of the prophecy of this Book; for the time is at hand. He acting unjustly let him still act unjustly. And the filthy, let him be filthy still. And the righteous, let him be righteous still. And the holy, let him be holy still.’" This is a remarkable statement coming from God and delivered by an angel. He says, in effect, "If you want to be unrighteous, go on. You don’t have long so live it up. If you want to be filthy, be still filthier …but if you are righteous be more righteous. If you are holy, be still more holy, because this is the parting of the ways." Then in verse 12, the Lord Himself is speaking and He says… "Behold, I am coming quickly, and My reward is with Me, to give to everyone according to his work." This declaration is spoken immediately before the return of the Lord. 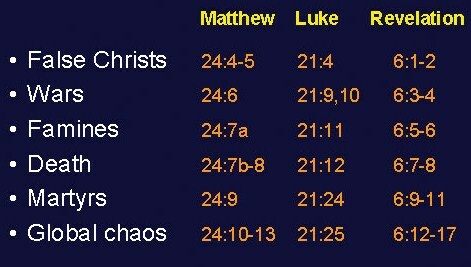 The wicked and the righteous are side by side; the wicked getting MORE wicked …and the righteous getting MORE righteous! In the spiritual realm, we cannot remain static – we are either going forward or going backward! Proverbs says, "The path of righteousness is like the light of dawn that shines brighter and brighter until the full day," Proverbs 4:38. Righteousness is not stationery rather a pathway we must move along. If we are moving in the path of righteousness, the light is getting brighter every day …BUT, if we are living today by yesterday’s light, we are beginning to be a backslider and not continuing in the pathway of righteousness. In Ezekiel 14:12-23; here God speaks to Ezekiel about sin and righteousness and three times He mentions three righteous men; Noah, Daniel, and Job and tells Ezekiel that though righteous they could only deliver their own souls and that the land will have four evil judgements; the sword, famine, destroying beast and the plague! However, in the end there would be a "righteous" remnant left in the land of Israel. God wants us ALL and those in the land and our families to live righteously and will judge sin because He is a righteous, just God! We must take this seriously! We should be aware that things are looking more and more like the Great Tribulation can start real soon… such as the “birth pains” (pangs) of the earth that are taking place right now with record heat, record cold, droughts, floods, comets, blood moons, solar eclipses, asteroids, record tornado destruction, Star of Bethlehem returning twice after 2,000 years! All this fits together with what we expect to happen during the Great Tribulation. Children of God get ready - the rapture could very well fit in God’s plan for Israel in this generation and soon! The crises that the world is now facing is no accident… consider the fact that we are the only generation in history to see a returned Israel in 1948 and we have also witnessed the recapturing and possession of Jerusalem by the new Israeli nation in 1967 …and in just the last few years, we are witnessing a coalition of nations (almost all of them Muslim) forming around the Islamic (anti-Jewish and anti-Christian) upheaval in the Middle East and is evidence that we are living in very prophetic times! The border crisis between Israel and Syria coupled with the addition of 24 hour surveillance of cameras at the Temple Mount (Mount Moriah) shows that the Middle East is literally on a “knives” edge. Zechariah 12:2 tells us the world would be drunk with Jerusalem, and they are! The proposed 24 hour surveillance would be much needed when the 2 witnesses of Revelation 11:3 appear before the world. The 24 hour surveillance camera would make it very easy for God to use man’s devices to spread His Word. The hatred the world has for the message of Yeshua (Jesus) will be very evident when these two preach. In the midst of prophecies about dark times, our Lord offers us some beautiful words of comfort and speaking about the close of the age in… Luke 21:25-28; “And there shall be signs in the sun, and in the moon, and in the stars. And on the earth will be anxiety of nations with perplexity; the sea and the waves roaring; men fainting from fear, and expecting those things which have come on the earth. For the powers of the heavens shall be shaken. And then they shall see the Son of Man coming in a cloud with power and great glory. And when these things begin to happen, then look up and lift up your heads, for your redemption draws near!” The Lord warned us that the whole world is going to be shaken. How are we going to react to all the promises to turmoil and conflict…? Do we get depressed and discouraged…? Or do we say, “Praise God our redemption is very near…? Our reaction will tell where our hearts are! In Matthew 24, Yeshua (Jesus) spoke about the traumatic "birth pangs" of a new age. Ask any woman who has given birth and she will tell that it is not easy and that the birth pangs (pains) begin slowly …but get very intense even unbearable just before the birth of the baby. Without birth pangs there will be no baby. We also can’t stop the baby from coming out when it is the time for the baby to be born! The attitude of the heart is revealed by the "birth pangs." Some are now even saying; "Where is God we don’t see Him doing anything…?" The baby in this case is the birth of the Kingdom of God on earth which is very exciting. 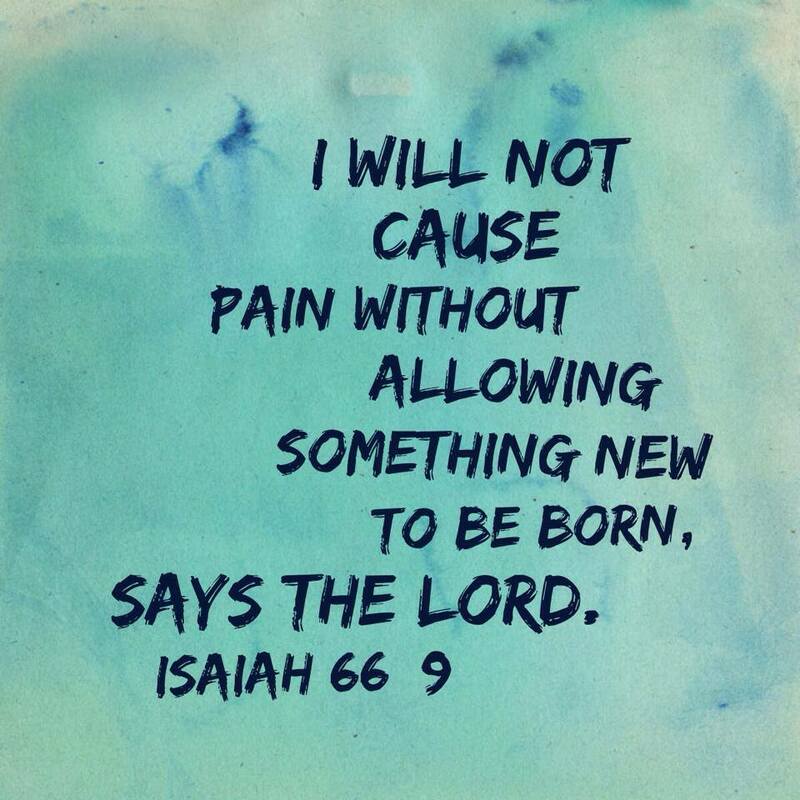 The kingdom of God will not come without "birth pangs" …they are guaranteed! We must determine how we will respond when they come. In the midst of increasing darkness and "birth pangs," the church has a task to complete. We are to proclaim the gospel of the Kingdom to all nations. The birth pangs are pictured in Matthew 24:7-8. If we want the baby we must endure the birth pangs …there is no alternative! There follows a series of "thens" in Matthew 24:9-13 on the "birth pangs" …and pressure will increase just as we can see that many of these things are actually taking place in our day; "Then they will deliver you up to be afflicted and will kill you. And you will be hated of all nations for My name's sake," Matthew 24:9. Who is the "you" referred to here…? The "you" is "us!" That may not be good grammar but it is the truth. "They will deliver you" – that’s "us the Christians!" We will be hated by all nations for the sake of the Lord’s Name! We used to occasionally hear of Christian persecution taking place around the world, and it was disturbing …but never on the scale that we are seeing today. ISIS is brutally slaughtering and beheading not just hundreds, but tens of thousands of Christians, Jews and others who oppose radical Islamist bent on creating their 7th Century Caliphate. Christians living in areas that ISIS has taken over have been almost completely wiped out. It is not just run-of-the-mill wars, but global destruction on a ferocious level never seen before. The annihilation is on track to exceed the number of people killed during the battles of Alexander the Great, the Crusades and even genocide in many places especially the Middle East! But God has given us believers a Scripture of hope; Revelation 20:4; "And I saw thrones, and they sat on them, and judgment was given to them. And I saw the souls of those who had been beheaded for the witness of Jesus and for the Word of God, and who had not worshiped the beast nor his image, nor had received his mark on their foreheads, nor in their hands. And they lived and reigned with Christ a thousand years." 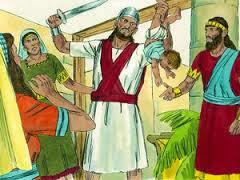 Jews are killed and hated because of Israel, the Bible and because of Jerusalem where the Messiah will soon return! We must remember our Lord, Yeshua was born a Jew, circumcised as a Jew, lived as a Jew, went to Synagogue as a Jew, was surrounded by the Disciples who all but Luke were Jews, called the Jews His brethren, died on the cross as "king of the Jews" and will be coming back to Jerusalem where He was crucified. "…And then many will be offended, and will betray one another, and will hate one another," Matthew 24:10. The "many" is "many Christians!" The pressure will be too great and they will give up their faith, betraying their fellow believers to save their own skins. Pressure of this kind has been happening in the Middle East and many parts of the world especially in Islamic countries …and will eventually come to the rest of the Western world. Be prepared! "…Then many false prophets will rise and deceive many," Matthew 24:11. The world is full of false prophets and many of whom are inside the church. That may come of a surprise to many people but it is clearly displayed today as we see the Bible being changed to accommodate the homosexuality agenda and in replacement theology where Israel is physically removed to replace everything as promises of blessings for the church and curses for Israel. There are other false prophets claiming that they are the Messiah and blaspheming the Lord. Islamic terrorism is also to be included under the heading of lawlessness as it involves violence and the threat of violence. 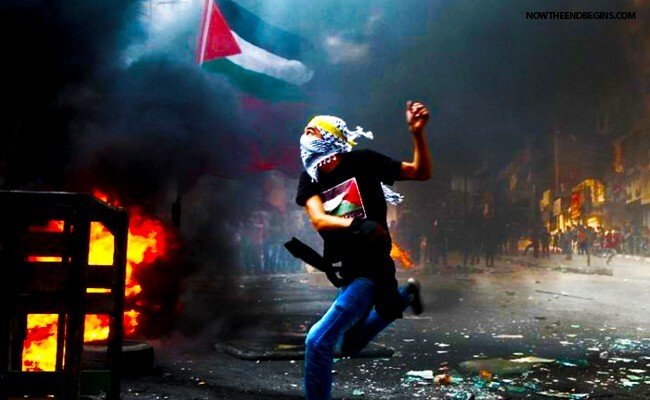 We are witnessing this violence in Israel where Palestinian Arabs even as young as thirteen years old roam the streets with knives, drive cars into places where innocent civilians are gathered in order to kill Jews at random. Terrorism ranges from so-called “lone wolf” threats against individuals to intimidating of whole populations as seen in France, bombs on planes, suicide bombers; chemical and biological terrorism, cyber terrorism, and nuclear terrorism …and today we are witnessing all of this! “…But he who endures to the end, the same shall be kept saved,” Matthew 24:13. This verse is very significant! The Greek is more specific, it says; “He who has endured to the end shall be saved.” How will we stay saved…? We have to endure! We are already “saved” as born-again believers, but to remain “saved” …we must endure! God is training us to “endure” …to the End of Age! The situation in the world is not going to get easier and in fact it is going to get harder …and the pressure is going to increase substantially. Times are going to get harder and harder, but God will give us the grace to endure to the end! It is going to take “guts” to go out and preach the gospel. “Guts” is a rather vulgar American word but as South Africans we can understand that simply translated; “to have great courage and to stand up for something!” We need Christians with “guts” in these last days! The Lord wants a church that is not going to be deterred by opposition or persecution but is committed to Him and His purposes and plans! The situation in the Middle East is very tense… and the events today build the events of tomorrow for prophecy to be fulfilled. Israel is becoming more isolated by the day. 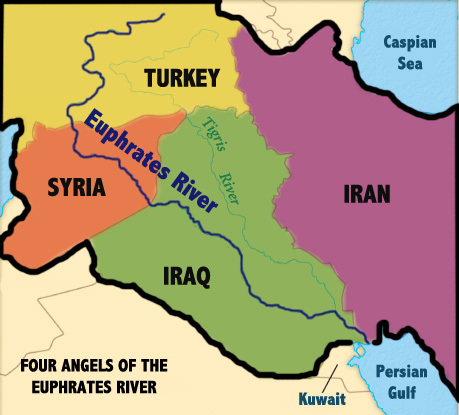 Russia and Iran have a foothold in the Middle East so that Ezekiel’s war will be fulfilled in the future. In Obama’s America, weakness is more than militarily …but also economically and morally. Europe is also losing its identity, and will look to a man to not only find their identity …but to spread Europe’s power in Jerusalem. When the Antichrist comes upon the scene, the West is the most powerful …but not “the ALL powerful, God.” The Antichrist will have forces from the East, North, and South that will push against Him! The United States and Russia are engaged in a geopolitical contest over the Islamic Republic of Iran… but both sides are losing! This great danger to Israel is that U.S. President Obama and Russian President Vladimir Putin are empowering one of the great enemies of Israel predicted in the Bible, Persia - Iran. The Iranians know much better than almost anyone else how to take advantage of geopolitical competition. The Iranian regime, unlike nearly any other nation, knows how to play the long game …and for the past 30 years, they have been quietly and patiently extending their spidery fingers into various nations and governments throughout the earth, including Russia. Iran has been skilfully balancing between the United States and Israel in recent months. While the US – Iranian nuclear deal could greatly endanger Israeli national security - Russia also has much to lose from any American opening to Iran …especially because of new trade ties that could threaten Russia’s economic dominance in Central Asia. For that reason, Putin has moved quickly to secure Russia’s military and economic relationship with Iran, notably by ending a ban on delivering powerful air defence systems capable of defending any nuclear installations. Therefore Putin will prove incapable of keeping Iran an obedient client state. There is strong evidence that Russia and Iran have long been quietly working together, along with some other South American nations, to plan for the downfall of America. Russia can use Iran as its proxy but absolutely under-estimates Iran. Many believe Russia will lead a great alliance of nations against the Jewish State of Israel in the End Times …BUT just as Russia is NOT fully in control of Iran we believe Russia is NOT the greatest enemy of Israel, “Magog,” as foretold in Ezekiel 38-39. Although there is no question that Russia will play a significant role in the unfolding of events in our near future, events of a Biblical magnitude, it is a critical player in all that is about to unfold. The understanding of the church concerning Russia in Bible prophecy has changed quite a lot in recent years and we believe that Russia is NOT the lead nation in the prophecy of Ezekiel 38-39. It is critical to understanding international events in these last days! The proper understanding of this prophecy is important because that forecast speaks of a Last Days’ alliance between Persia (modern-day Iran) and Magog that would eventually lead to a larger scale coalition invasion of the ‘returned’ Israel. The evidence that ‘Magog’ refers to Russia is largely based on the writings of Flavius Josephus, the first century Jewish historian who identified the people of Magog as the Scythians of his day. By Josephus’ day, the nomadic Scythian tribes had, in fact, settled largely in what we would now call the area of Russia. But, the prophecy of Ezekiel was not written in Josephus’ day but hundreds of years before. During Ezekiel’s day, the primary peoples known as Scythians lived in Asia Minor or modern-day Turkey. The strategic relationship between Turkey and Iran is a critical factor in Middle Eastern security. Largely Sunni Turkey and Shiite Iran are geopolitical rivals especially regarding Syria, where Iran is supporting the government of Bashar al-Assad and Turkey is supporting the insurgency against him. However, a recent visit by President Erdogan of Turkey to Tehran shows that the two governments are willing to work together for mutual interests. The rise of nationalism and neo-Ottoman tendencies within Islamist Turkey are an extreme danger to peace. 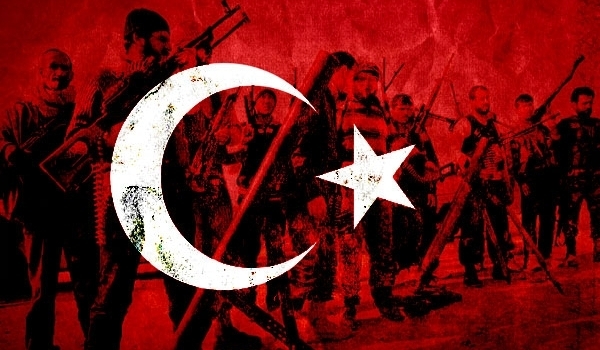 Turkey is today a major player in the Middle East upheaval; especially with the rise of the ISIS butchery machine that has become the scourge of the area and since Turkey is the launching pad and a gateway for anyone wanting to join ISIS! 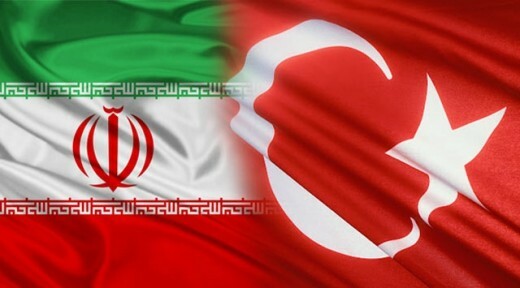 Turkey and Iran are becoming increasingly aligned with each other concerning the sharing of natural resources, especially natural gas …and both share a common goal to eliminate Israel. Turkey is anxious to buy more natural gas from Iran and is looking to expand trade if sanctions are lifted on Iran. And, of course Iran gets most of its nuclear technology and assistance from Russia! So, as is the case with much Biblical prophecy, it could very well be that the Magog of Ezekiel 28 finds its ultimate fulfilment in both; Turkey and Russia! Could we be witnessing in the very last days, Russia boosting Iran’s nuclear technology and entering into ‘protection’ agreements with Iran even as Turkey and Iran develop a strategic partnership…? 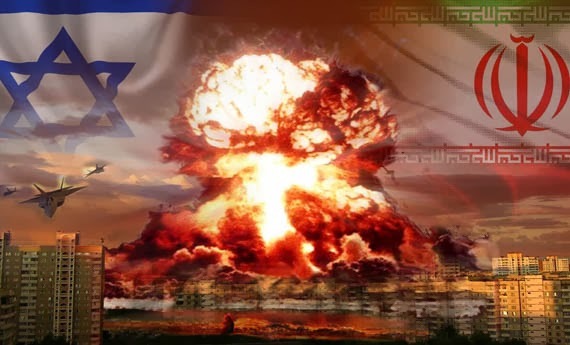 And more importantly, while this is going on - what if the Iranian leadership continues to openly threaten the annihilation of Israel…? This is precisely what is happening right now, even as the United States under Barack Obama appears to be turning its back on Israel! “Obama’s ‘Safe Zone’ in Syria is intended to turn into a new Libya. Obama has approved U.S. air support for Turkey’s previously un-enforceable no-fly zone over Syria. The U.S. will now shoot down ALL of Syrian President Assad’s planes that are targeting the extremist groups, including ISIS, that have taken over huge areas of Syrian territory. The Iranian government is already refusing to comply with global sanctions and is already gripped in an “apocalyptic” fervour! Turkey has demanded this no-fly zone from Obama since the Syrian war started. The intended goal was always the Syrian government. And, suddenly this no-fly zone happened – right when Turkey wanted it …but is labelled an ‘anti-ISIS’ safe zone, instead of its proper name, “anti-Kurdish and anti-Syrian government safe zone.” (Shamus Cooke – Off Guardian headlines 03/08/2015). Syria is yet another nation that’s being destroyed in order to destroy Russia! (Isaiah 17 propehecy?) So, its U.S. bombers under Obama’s leadership that is enforcing this no-fly zone over parts of Syria together with Turkey who hates Assad and also wants to destroy the Kurds! They want to bring down Assad of Syria (Russia’s ally) and replace Syria’s secular government with an Islamic government! The anti-ISIS agenda is just a show and propaganda. Obama also overthrew Viktor Yanuovych of Ukraine in February 2014 under fake ‘democracy’ demonstrations instead of under the fake cover of ‘opposing Islamic terrorism’ and then blamed it on Russia. Just like Libya, Ukraine too, was at peace before the U.S. invaded and destroyed it. With the help of Obama, Islam is at its strongest in modern times while the Christian world is in disorder. The fact is that now Europe is sharing in the devastation that Obama opposed upon them, together with Turkey …through the infiltration of Islamic refugees. Erdogan of Turkey has also threatened to send 2.2 million more refugees! ISIS brought down the Russian plane in Egypt on 31st October, 2015, and killed 224 people. The devastations and chaos caused by ISIS that took place on Friday the 13th November, 2015 in France was just the beginning! Is it coincidental that France was one of the 8 countries at 70th U.N. Security Council - on Tuesday, 10th November that voted against Israel siding with the Palestinians for Israel to return to the pre-1967 border? No! Israeli Prime Minister Bibi Netanyahu formally expressed his "deep disappointment" to France for calling for a full IDF withdrawal to the pre-1967 lines by the end of 2017. Friends this date 2017 is huge and we will be writing more on this soon! What France’s government did was unthinkable as they went against Israel and in doing so they went against Almighty God who surely is not happy when it comes to Israel! Could it be that God simply took His Hand of protection off France…? "…and I will curse those who curse you (Israel), Genesis 12:3. Was the 13th November a special Islamic anniversary day…? Yes it was! On November 13, 1918 the Allied troops (West) occupied Constantinople (today Istanbul - Turkey), the capital of the Ottoman Empire. The Ottoman Empire was the Caliphate, the Islamic State of its day. The Wikipedia entry, "Defeat and Disillusion of the Ottoman Empire;" The Occupation of Constantinople took place in accordance with the "Armistice of Mudros" (signed on 31 October 1918), ending the Ottoman participation in World War I. The occupation had two stages: the initial occupation took place from 13 November 1918 to 16 March 1920; from 16 March 1920 – Treaty of Sevres. 1918 saw the first time Constantinople had changed hands since the Ottoman Turks conquered the Byzantine capital in 1453. An Allied military administration was set up early in December 1918. The Haggia Sophia was converted back (from a Mosque) into a cathedral by the Allied administration, and the building was returned temporarily to the Greek Orthodox Church. The Paris Jihad Attacks were not only carefully orchestrated in Paris, but across Europe, with cells acting in Germany, Belgium and Britain. It seems clear that, whether or not the date was chosen by the Radical Islamic jihadi’s for its link to the Western Allies occupying Constantinople in 1918, it was indeed a carefully planned and executed operation, spanning at least three countries, and marks an ominous turn in Islam’s war on the West. Responses to the Paris Muslim Jihad Attacks call it an "ACT OF WAR;" "Soon we shall cast terror into the hearts of the unbelievers," Quran 3 – 151. Erdogan with Obama’s help working toward the return of their 7th Century Islamic Caliphate! By weakening European nations and not only nations in the Middle East - Obama’s war against Russia is yet further proof that at the end with all this chaos and destruction it will end up weakening America instead! The most basic, primitive honour a nation owes to its dead is to fight to defend it – to defeat the enemy and win …and, yet the West won’t! The West is hanging on by a thread and it doesn’t even now it. We are living off the fumes of the accomplishments of our fore-fathers and those who fought and died in the cause of "freedom and individual rights" but the tread is wearing thin. Time is just about running out! There are two ways to win at any game: Either by improving your own performance OR by weakening the performances of all your opponents! But, there is a third player in this and it is God… and His plan - not mans, will ultimately come to pass! Time will tell everything! The Bible says this alliance will form and come against Israel “in the last days”- Ezekiel 38:8… The Hebrew word used in this passage is “acharith,” and it generally translates as the “after-part, latter part, last, close, or end.” In other words, this alliance will form in the Last Days just prior to the return of Yeshua (Jesus Christ). Ezekiel uses this same word “acharith” again, when God says He will bring the alliance against the land of Israel “…in the last days;” Ezekiel 38:16. And, at the beginning of verse 8, He reveals that this will happen “a long time from now” or “in the distant future.” In other words, this is not a prophecy fulfilled in Ezekiel’s day! But, that’s not all that’s said… Ezekiel provides us with additional clues. God reveals the exact time when this invasion will occur… Russia’s ruler (Gog) says to himself, “I will attack the once abandoned cities that are now populated with the Jews who returned from exile among the nations,” Ezekiel 38:12. Did you catch that…? The ruler of Russia with Turkey and alliances (Gog/Magog) will attack the land of Israel when it’s filled with the Jewish exiles who return from among the nations. The target of this future invasion is the modern day State of Israel. God Himself confirms this when He says the invasion will occur… “After Israel’s people have been gathered from among many nations,” Ezekiel 38:8. He says it will happen “when I bring my people home from among the enemy nations,” Ezekiel 39:27. This return home from among many nations has happened only once in all of human history. And, our generation is a witness to that event – the 1948 gathering of the Jewish people and the restoration of Israel in the Promised Land. Because 2,600 years ago, the prophet Ezekiel stated that an alliance of nations will form in the “latter days,” just before the Lord returns and that alliance will include Russia, Turkey and Iran and alliance. Historically, Russia and Iran have never been a part of such an alliance until recently. Joel 3:2 warns us about “touching” or “dividing Israel,” just as U.S. President Obama is standing with enemies of Israel to split Jerusalem and divide God’s land Israel … and so we are simultaneously also seeing a split even among the American people. There is a familiar Bible story that practically everyone relates directly to the efforts by the International community to “divide Israel” for the purpose of creating a Palestinian State. It is found in 1 Kings 3:16-28. The young King Solomon dreams of a conversation with the Lord in which he asks for wisdom to; judge God’s people. God grants the desires of Solomon’s heart as well as bestowing upon him a long life, great riches and honour. Immediately after Solomon claims this promise with sacrifices, peace offerings and a feast to all his servants, he gets to judge the most famous case of his life. Then two harlots come before him each claiming a baby as their own: “…And the king said, Divide the living child in two, and give half to the one and half to the other. And the woman whose son was the living child said to the king, for her womb yearned over her son. And she said, O my lord, give her the living child, and in no way kill it. But the other said, Let it be neither mine nor yours; divide it! And the king answered and said, Give her the living child, and in no way kill it. She is the mother of it. And all Israel heard of the judgment which the king had judged. And they feared the king, for they saw that the wisdom of God was in him to do judgment!” That’s the story everyone knows. But, is there special meaning for today in these words…? Could this story relate directly to the Palestinian two-state solution planned by the Obama Administration and International busy bodies who seek to “split” Israel in half...? Is it possible that this familiar old Bible story actually contains a prophecy yet to be fulfilled…? 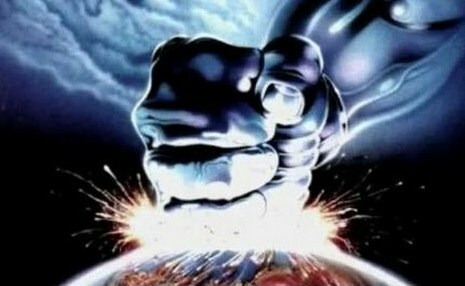 Assume for the moment that King Solomon in this story represents the King of all creation, the Lord of the universe... The first woman in this story represents the Jewish people and her baby represents Israel. Let’s further assume the second mother represents the Arabs. Notice the second woman had her baby three days after the first woman. 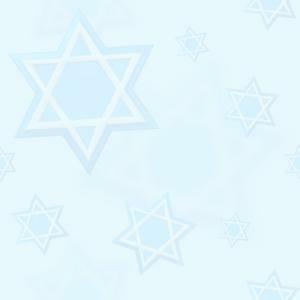 The Jewish State, Israel, was first created 3,000 years ago. The Arabs are trying 3,000 years later, to create an Arab Palestinian State when none had previously existed! The Bible tells us in both the Old and the New Testaments that one day is like a 1,000 years with God. There is a reference in Psalm 90:4, “For a thousand years in thy sight are like yesterday when it passes by.” And, there is the reference in; 2 Peter 3:8, “But do not let this one fact escape your notice, beloved, that with the Lord one day is as a 1,000 years, and a 1,000 years as one day.” So, 3 days, or 3,000 years ago the Jewish people gave birth to the nation of Israel. Today, 3 days or 3,000 years later Palestinian Arabs who are mostly recent migrants to the land with NO established history there and NO prior national claim arrived and tried to steal the baby. It is also worth noting that the tactic used by the Arabs is to sacrifice their own children as suicide bombers in their effort to “liberate” the land. Further, did they not, perhaps even unknowingly, kill their own baby when they rejected a statehood of their own with the 1947 partition plan…? Like the first mother, haven’t the Jewish people expressed a willingness to give up half the land in a division plan just to keep their precious baby (Israel) alive…? And, haven’t the Arabs like the bitter second mother agreed to the division plan, the splitting of the child in two, knowing it would result only in the death of the baby…? If this analogy is true, though, it is NOT going to happen. The baby (Israel) will NOT be killed, because, like King Solomon, God Almighty has already decided that the baby (Israel) belongs to the Jewish people! We most sincerely believe that God WILL bless you for your faithfulness and love for His land and His chosen people, Israel. God’s Word is true! He IS watching to see how the nations are treating His people. God will have mercy on Israel through Gentile believers acting as mediators towards them. This is one of the most amazing revelations ever given to the church – an opportunity to do something that carries the highest priority in the heart of God. Yet, sadly, so few have seen the potential and the rewards of serving God in this manner, as agents of mercy to Israel and the Jewish people! Israel was and still is despised today… and a despisable nation continually turning away from God but nothing ever altered the purpose of God for that nation. The despised element is always a noticeable element in the purpose of God. When the Saviour of the world came, He came of that despised nation; like Israel… He Himself was "despised and rejected by men," …and there is that despised element, "things that are despised God has chosen," 1 Corinthians 1:28. Now more than at any time is the time to support Israel and the Jewish people the Lord’s Brethren!